There are a few requirements thats make the SSAT work properly. 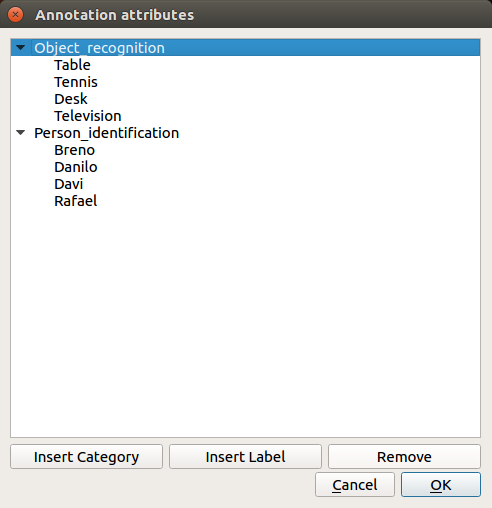 Before beginning the annotation the user must establish the attributes in which he desire to base his annotations , to do this select “Annotation” in the menu bar followed by attributes, another dialog will pop up and the user can create an hierarchy of categories(filters) and labels. 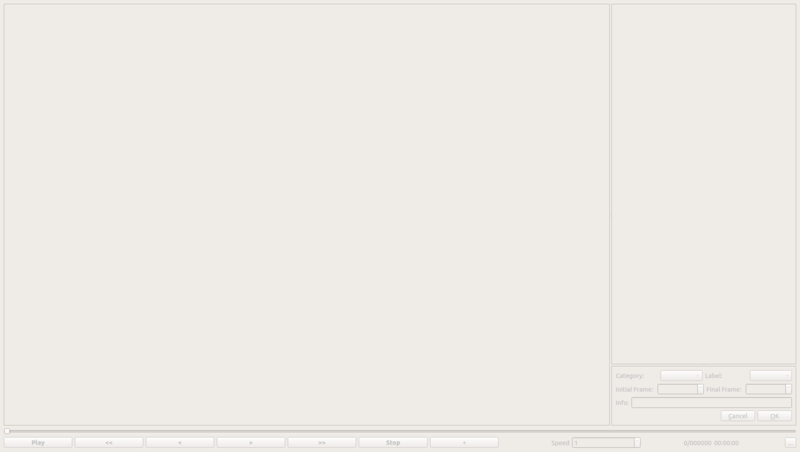 The attributes box, showed in the image above, will be initially empty, the attributes are defined following an hierarchy of categories and labels, this hierarchy was created to ease to use of the tool in the midst of a high number of different labels. Hence a category can be understood as an collection of labels, that have something in common. 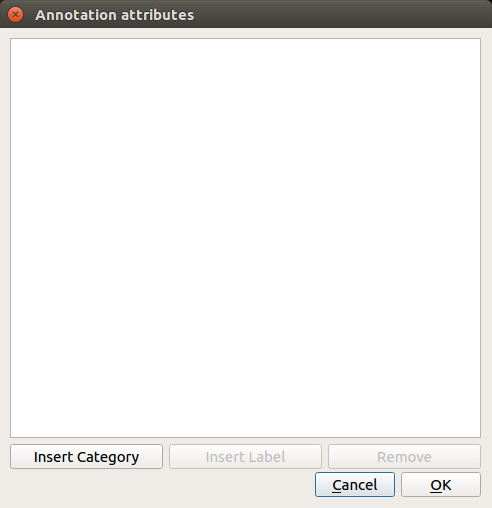 It is not possible to create a label that does not belong to a category, so the “insert label” button remains deactivated until an category is selected, the user can also edit an annotation already made by double clicking it on the table and making the desired changes. 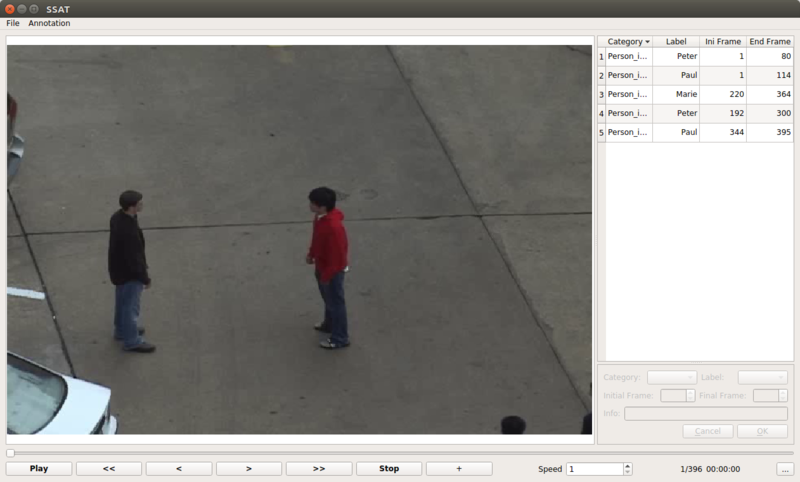 There are two tipes of annotation: frame based annotation and bounding-box based (bounding-box based annotation not yet available in this version), the former comprises the whole video frame whereas the latter specifies a region(box) from the video picture, to annotate right-click on the video and then choose between frame based and bounding box based. 1. Frame boxes hold the following info: category, label, initial frame, final frame and general information. 2. Bounding boxes encompass information like: category, label, initial frame, final frame, x-axis position, y-axis position,width, height, and general information. Whenever the user decides to import/export a file he must click on file and then selects import/export JSON (or use the shortcut CRT + E to export and CRT + I to import) and then specify either desired the file to import or the folder to export. Note that every 10 seconds a security file will be exported for the root directory and if the user open a video he already has opened before, he will be asked to import this security copy. 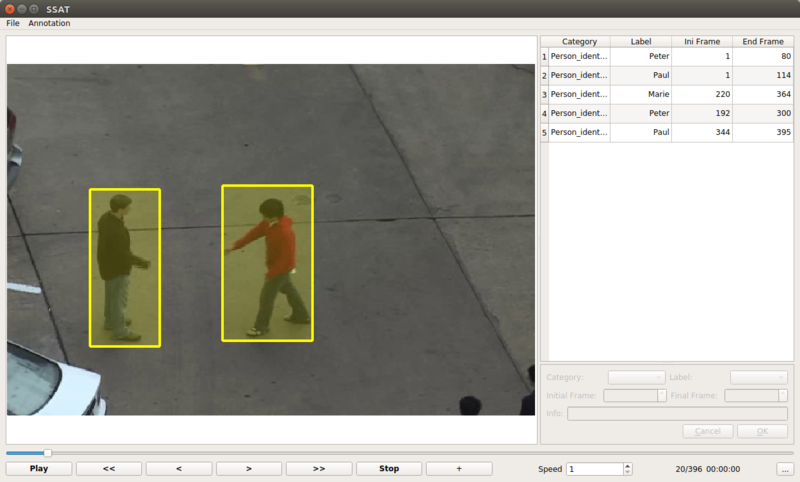 Smart Surveillance Annotation Tool is an open-source initiative, available on GitHub Repository. Download the software’s latest version HERE.